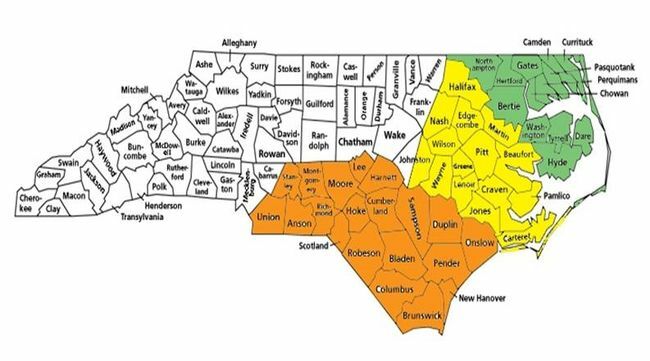 "On the Atlantic coast bordering on North Carolina and which constitutes her Eastern boundary and immediately facing the Ocean, is one of the most beautiful Islands of this hemisphere. The earliest [sic] name we find for it is Ocracoke." So enthuses an 1890 advertisement for the old Ponder Hotel (1885-1900). The advertisement continues with, "It has always been noted for its health and salubrious climate which is not surpassed by any Ocean resort, and has no equal, inasmuch as the breeze from the ocean is salt and if perchance the wind should come from the land, it must first be wafted from the bosom of Pamlico Sound, a salt water sheet, whose expanse is only commensurate with its life giving properties." Who wouldn't be enticed to take the steamboat to Ocracoke Island!? 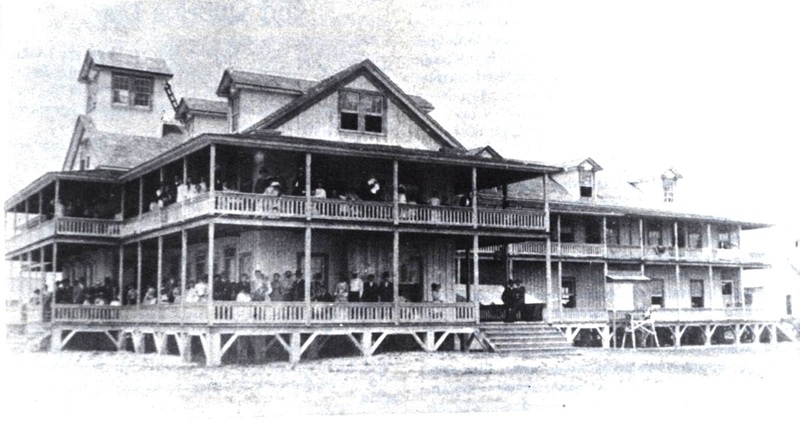 It is unfortunate that the hotel burned to the ground in 1900. One of Ocracoke's early school marm's was Sarah Owens Gaskill (wife of Benjamin Decatur Gaskill) who ran a small private school near the lighthouse in the latter half of the nineteenth century. Sarah was a cousin of Susan Dimmock (1847-1875). Both women grew up in Washington, NC. 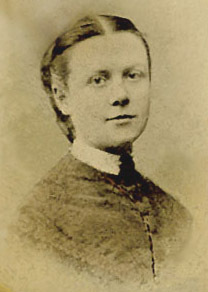 After Susan's father died (at the outset of the Civil War), Susan moved with her mother to Boston. She enrolled as a student in the New England Hospital for Women and Children, then applied for admission to Harvard. The faculty denied her request, noting that "this faculty do not approve the admission of any female to the lectures of any professor." No other schools in the United States would accept her, so she applied to the University of Zurich Medical School, where she was accepted. After completing her studies, Susan Dimmock returned to the United States to practice medicine. In 1872 she became a member of the Massachusetts State Medical Society. She was the first woman member of the North Carolina Medical Society. Unfortunately, she was drowned when a ship she was on struck an iceberg in the North Atlantic, and sank. Susan Dimmock was only 28 years old. 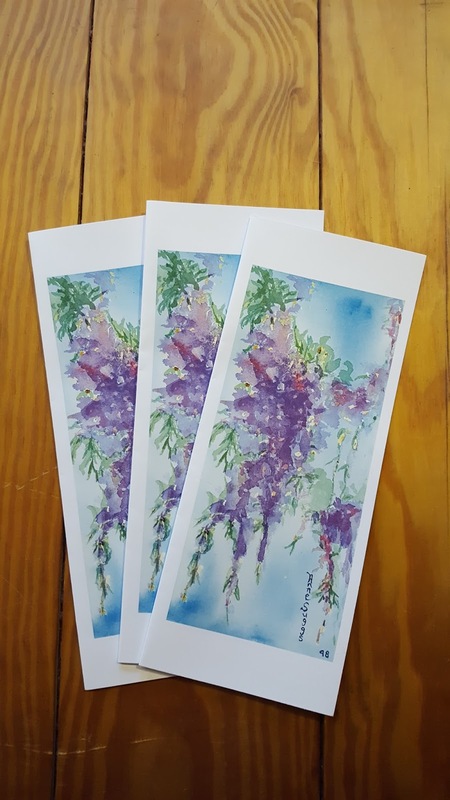 Although not ever a full-time resident of Ocracoke, Susan Dimmock's connection to the island and her legacy lives on. Several island children have been named for her. For more information about Dr. Susan Dimmock, click here. In the past I have written about Pirate Democracy. Today I list Pirate Captain John Phillips' (died 1724) code, the Articles on board his vessel, the Revenge. I. Every Man Shall obey civil Command; the Captain shall have one full Share and a half of all Prizes; the Master, Carpenter, Boatswain, and Gunner shall have one Share and quarter. II. If any Man shall offer to run away, or keep any Secret from the Company, he shall be marooned with one Bottle of Powder, one Bottle of Water, one small Arm, and Shot. IV. If any time we shall meet another Marooner [that is Pyrate,] that Man that shall sign his Articles without the Consent of our Company, shall suffer such Punishment as the Captain and Company shall think fit. V. That Man that shall strike another whilst these Articles are in force, shall receive Moses’ Law (that is, 40 Stripes lacking one) on the bare Back. VI. That Man that shall snap his Arms, or smoak Tobacco in the Hold, without a Cap to his Pipe, or carry a Candle lighted without a Lanthorn, shall suffer the same Punishment as in the former Article. VII. That Man that shall not keep his Arms clean, fit for an Engagement, or neglect his Business, shall be cut off from his Share, and suffer such other Punishment as the Captain and the Company shall think fit. When Ocracoke was first settled, in the mid-1700s, “cat-ball” or “cat” was a popular outdoor recreation in colonial America. It had evolved from an earlier English and Scottish folk game, “Cat and Dog,” which involved a piece of wood (a “cat”) that was thrown at a target, often a hole in the ground. Opposing players defended the target by hitting the wood away with a stick (a “dog”). Two holes were used in some versions of this game that resembled cricket. 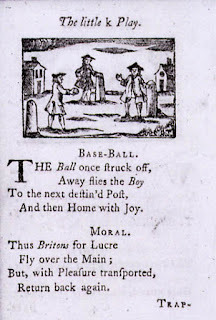 A batter would hit the cat, then run between the holes while the opposing team would try to put the runner out by knocking the cat into the hole before the runner got to it. In another version, the “cat” was carved from a piece of wood about six inches long and two inches in diameter. Each end was tapered. The cat was placed on the ground, and either struck with a stick or stomped on with a foot. 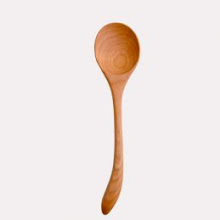 This would “catapult” the stick into the air so it could be hit with a stick. In later versions, a ball was substituted for the piece of wood, and launched from a simple lever mechanism. Still later, a pitcher replaced the mechanical lever. 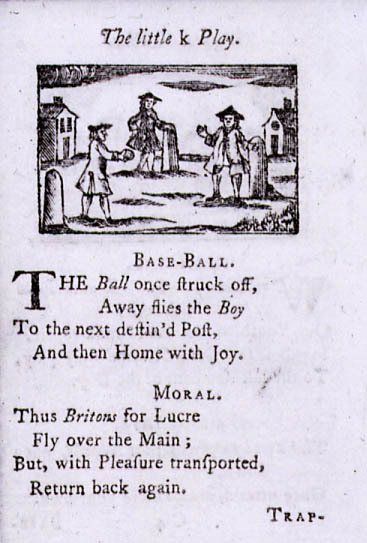 Other manifestations of “Cat and Dog” evolved into a stick and ball game that eventually evolved into modern baseball. Because folk games had no official rules, they changed over time and from place to place. No one knows exactly how “cat” was first played on Ocracoke Island. but by the late nineteenth century Ocracoke boys played cat with a homemade ball, typically a core of string covered with old shoe leather. A stick of wood served as a bat. Baseball gloves were almost unheard of. Today Ocracoke has a fine new ball field and three stellar teams. Click here to read about the 2017 season opener. When Village Craftsmen, re-opened for the 2017 season Crystal Canterbury was there with her notepad and camera, along with several dozen other islanders. Crystal works for the Ocracoke Current, the island's original on-line "newspaper." Walking along Howard Street will take you back in time. Shaded by the Live Oaks, the sand and oyster shell one-way street – with a speed limit that reads “Drive Real, Real Slow” – is lined with historical homes, wild flowers, and family cemeteries. At the end of the street sits the Village Craftsmen, a Howard family staple since 1970, where unique art, handcrafts, and jewelry are displayed and available for purchase. Now being managed by Amy Howard, Philip’s daughter, the Village Craftsmen has some changes for 2017. While not startling or drastic, the changes to the interior have opened up the front room area, allowed easier access to the back rooms, and have been organized in such a way to give the shop a gallery feel. The Village Craftsman is now open for the season! Stop in and say hello! Spring hours are currently 10am–5pm Tuesday-Saturday, and 10am–2pm on Sunday. The shop is closed on Mondays. The times will change as the season progresses. You can read Crystal's entire article here: http://www.ocracokecurrent.com/147531. Summer visitors frequently ask island residents, "What do you do all winter?" It may be difficult to believe, but islanders are often quite busy during the off-season. Yes, we do take our vacations in the winter, and there is more time to relax, read books, and spend time on hobbies...but it is also the time to volunteer, repair, remodel, paint, get our businesses ready for the new season, and catch up on all of those other chores we put off during the summer months. Island organizations (Civic Club, Library, School, Fire Department, Churches, and other non-profits) continue to function year-round. Right now many island businesses are reopening (Village Craftsmen opened for the season last week). Ocracoke Spring Variety Show. Tonight at 6 pm at the Ocracoke School Gym. If you are on the island come on out to enjoy some local talent. North Carolina Shell Club. Tonight, and tomorrow at 7 pm at the Ocracoke Community Center. Guests welcome. Village Craftsmen's Amy Howard is the special guest speaker at tonight's meeting. Ocracoke Island was not annexed to a North Carolina county precinct until 1770. At that time a member of the NC Colonial Assembly noted that, "those lawless bankers on Occacock Island are not paying taxes anywhere." The Assembly then included Ocracoke in Carteret Precinct. Cartaret Precinct, which included Core Banks to the south, was established in 1722, having earlier been part of Craven Precinct. In 1845 Ocracoke Island (between Old Hatteras Inlet and Ocracoke Inlet) was reassigned to Hyde County, where it remains today...and where we definitely pay taxes. It is time for another Ocracoke Newsletter. This month's article is a fun-to-read first person account of what I call the Ocracoke Water Tank Caper. If you've ever wondered what the view is like from the top of the tower, be sure to read the article. Just don't try this yourself! We are not endorsing this behavior...just sharing the story. Here is the link: http://www.villagecraftsmen.com/news032117.htm. Late last month I published as one of our monthly Ocracoke Newsletters the story of the Electrification of Ocracoke Island. Unfortunately subsequent blog posts included an inaccurate link (it directed to our home page; not our Newsletter page). This is the correct link: http://www.villagecraftsmen.com/news022117.htm. If you were not able to locate this Newsletter earlier you might want to read it now. It traces the history of electric power on the island from the installation of the first generator (salvaged from a wrecked ship) in 1936, to the latest installation of Tesla batteries and solar panels. The Newsletter explains how electricity (and the ability to make ice) impacted the island's fishing industry, how natural and man-made disasters (the powerful hurricane of 1944, and the 1990 accident that collapsed nearly 400 feet of the Oregon Inlet bridge) left authorities scrambling to provide power to our village, and how vulnerable the submarine cable under Hatteras Inlet has been. Be sure to read how Conch O'Neal and his nephew Bobby O'Neal dealt with troublesome cable issues in the 1970s. And notice the new armored submarine cable that has been much more reliable. Again, this is the correct link: http://www.villagecraftsmen.com/news022117.htm. Look for a new Ocracoke Newsletter tomorrow. 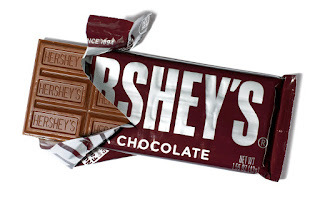 Not too long ago I was gathered around my kitchen table with friends when one person produced a Hershey bar and offered pieces to the rest of us. It is a "He Hershey" he said. He Hershey & She Hershey are two expression from Ocracoke Island. I am not aware of the use of these terms anywhere else. Sometime on Wednesday, March 22, I will publish the answer and the winner in the comment section of this blog post (March 17, 2017). In case you aren't familiar with Old Quawk and the day Ocracokers remember him, I am reprinting a former blog post. Enjoy! This coming Saturday, March 18, from 2 pm to 4 pm, Village Craftsmen will be hosting our first Open House in 2017. We are excited about our fresh new look. In addition, our friendly and courteous staff will be on hand to answer all of your questions. Our gallery, established on Historic Howard Street in 1970, is bursting with an extensive selection of the finest craft items, all hand made in the United States! We hope to see you on Saturday. If you can't visit us then, be sure to stop by on your next visit to the island. In his 1974 book, Blackbeard the Pirate, A Reappraisal of His Life and Times, Dean and Professor of Law Emeritus at Wake Forest University, Robert E. Lee, writes that "[e]ach pirate was expected to furnish his own cutlass and pistols, the latter thrust in a sling of leather or ribbon across the chest...[and] the cutlass swung from a belt at the hip." Lee continues by quoting George Woodbury, author of The Great Days of Piracy in the West Indies, explaining that the cutlass had its origin in "the medieval curtal axe [the word is derived by folk etymology from earlier coutelace, curtelace, cutlass, from Old French coutelas], a short, wide-bladed weapon more like a cleaver than either axe or sword. It had gradually evolved from this into a yard-long, wide-bladed sword, slightly curved like a saber, but a good deal heavier. A rounded brass guard...protected the hand and wrist." Lee points out that Blackbeard was a "strong advocate of the use of the cutlass on the high seas" and "had taught his pirates how to manipulate this weapon, lethal when used with skill and brutal strength. Wild;y swinging pirate cutlasses were a fearful thing to behold; few sailors on merchant ships failed to surrender within minutes of exposure to the sight." More about the origin of the word "cutlass": Wikipedia explains that "[t]he word cutlass developed from a 17th-century English variation of coutelas, a 16th-century French word for a machete-like blade (the modern French for 'knife', in general, is 'couteau'; the word was often spelled cuttoe' in 17th and 18th century English). The French word is itself a corruption of the Italian coltellaccio, or 'large knife', a short, broad-bladed sabre popular in Italy during the 16th century. The word comes from coltello, knife', derived ultimately from Latin cultellus meaning 'small knife.'" Village Craftsmen will re-open for the 2017 season this Wednesday at 10 am. If you live on Ocracoke, or are visiting the island this week, walk, bike, or ride down historic Howard Street and stop by to say hello. Our new manager, Amy Howard, has been working hard, along with family and friends, to create a fresh new look for our gallery. Village Craftsmen has been the proud purveyor of fine quality American handcrafts for nearly half a century. This winter Amy applied her artistic vision to help create a brighter, more open space that highlights and features our superb selection of the finest pottery, glassware, metal items, kitchen utensils, and so much more, all made by North Carolina, regional, and nationally acclaimed crafters. 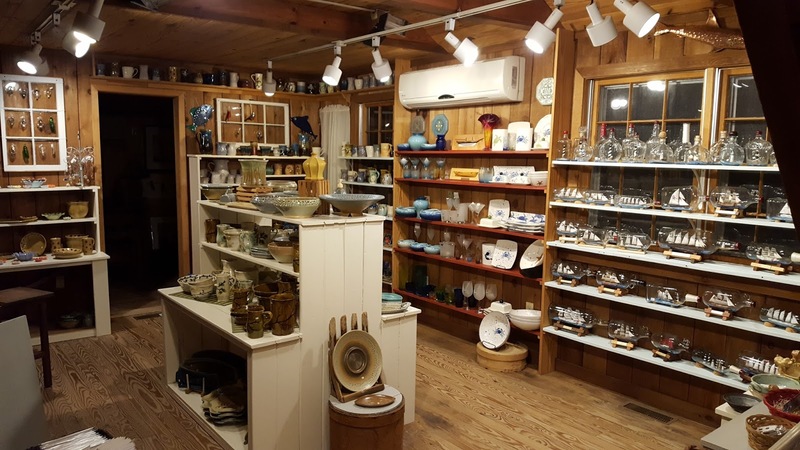 Frequent shoppers at Village Craftsmen will be pleased to find the work of many of our long-time suppliers, as well as exciting new additions. We feel confident that first time visitors to our gallery will be pleasantly surprised by the extent and quality of the art and crafts displayed. We represent more than 300 of the finest craftsmen and craftswomen in the United States. An added treat on Howard Street is passing some of the island's oldest homes, several small family cemeteries, and three of Ocracoke's largest live oaks. While visiting our gallery, Amy, a ninth generation islander and former Administrator of the Ocracoke Preservation Society Museum, will be happy to answer your questions and share stories about our unique island heritage and culture. You might even see her father Philip now and then. We hope to see you whenever you are on the island! Look for information about our up-coming Open House later this week. I shared this story about ten years ago, but think it is worth repeating. As much as we enjoy the natural beauty of Ocracoke, many islanders will tell you that it is the community that we treasure most. It is common for us to loan & borrow tools, clam rakes, ladders, and even automobiles. We are quick to volunteer when a neighbor needs a helping hand. But sometimes even we are surprised and amused when friends turn to us for a little assistance. Some years ago I came home in the late afternoon. I was taken aback when I discovered a neighbor lying on my bed, leisurely reading a magazine. "Oh, hi K____," I said. 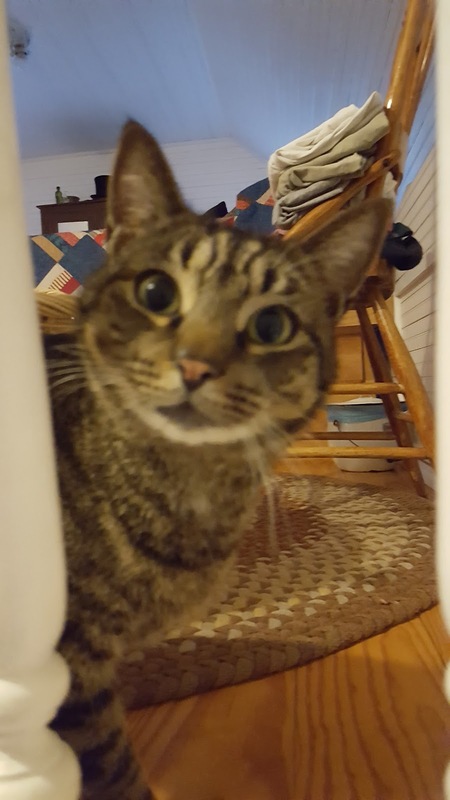 "What's up?" trying not to betray my astonishment. "I'm just relaxing here for a few minutes," she said. "I am waiting for D_____. He's in your bathroom, taking a bath." As I learned, their bathroom was being repaired, and I was happy to provide mine. 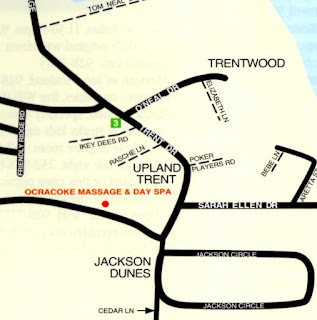 Visitors to Ocracoke may notice a section of paved road called Trent Drive. It connects the eastern ends of Sunset Drive (known as Ammunition Dump Road by old-timers) and Middle Road. Trent Drive is located in a small section of the village historically known as "Up Trent" or "Upland Trent." Nearby is an area called Trentwood. Interestingly, several other geographical areas in eastern North Carolina bear the Trent moniker. For example, there is the Trent River in eastern North Carolina (its origin is near Kinston, and empties into the Neuse River at New Bern). The small village of Frisco, on Hatteras Island, was at one time called Trent or Trent Woods. Although Algonquin Indians had established a village there centuries earlier, the first European settlers called the area Trent. In 1898 the U.S. Post Office renamed the village Frisco to avoid confusion with another town on the mainland called Trent. Because the majority of early Outer Banks settlers came from the British Isles, I am guessing that the name Trent originally indicated a connection with the small English village of Trent in northwest Dorset. Unfortunately, details of that connection have been lost over time. 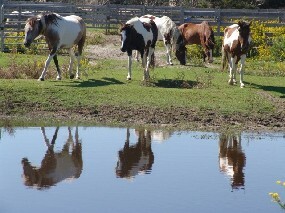 For many years historians have speculated about the origin of Ocracoke's semi-wild ponies, actually small horses. The general consensus is that they are probably descended from Spanish mustangs. In 1524 Giovanni da Verrazzano explored the Outer Banks but made no mention of horses. In 1584 the account of Captains Master Philip Amadas and Master Arthur Barlowe (of Sir Walter Raleigh's first expedition to America) mentioned reports by natives of "of a ship cast away" "five and twenty years past" from which "white people" were rescued. Perhaps that ship was a Spanish Galleon that also transported mustangs. In 1585 English explorer Sir Richard Grenville made his first voyage to "Virginia" for Sir Walter Raleigh. In June his expedition anchored at Isabella, on the north side of Hispaniola (the Caribbean island shared today by the Dominican Republic and Haiti). 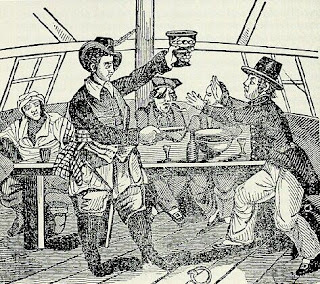 After enjoying a banquet and sport provided by the Spaniards, Grenville writes that "many rare presents and gifts were given and bestowed on both parts, and the next day we placed the Merchants in bargaining with them by way of truck and exchange for diverse of their commodities, as horses, mares, kine, bulls, goats, swine, sheep, bull hides, sugar, ginger, pearl, tobacco, and such like commodities of the Island." On the 26th of June Grenville's account indicates that they "came to anchor at Wocokon [Ocracoke]." Since Grenville's ships now had horses on board it is not without merit to speculate that these might be the ancestors of today's Banker ponies. No doubt other horses were introduced to the island over the next two hundred years, both more shipwreck survivors as well as animals brought by early European settlers. The smaller, hardier strains were able to survive and flourish in the island's salt marshes. Today, a remnant herd of Banker Ponies is confined to a large pasture, and cared for by the National Park Service and island volunteers. 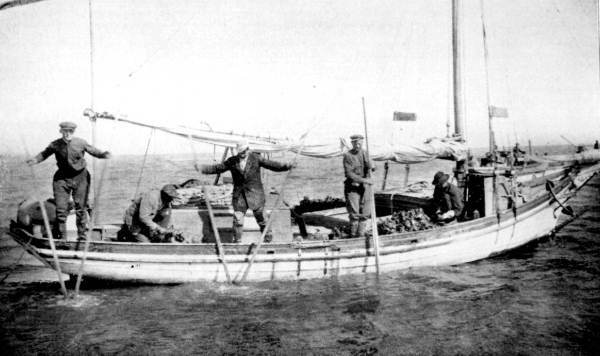 Before the widespread use of outboard motors, and even still sometimes today, Outer Bankers harvested oysters in Pamlico Sound with the use of oyster tongs. Oyster tongs work much like post hole diggers, but the handles (or shafts) are much longer (as long as 12 or 15 feet), and the "working end" consists of two wide rakes. The following photo was published in the Spring, 1978, issue of Sea Chest, a non-profit educational project of the students of Cape Hatteras School. It shows Mr. Walton Fulcher holding his oyster tongs. The tongs are lowered over the side of a skiff, and into the water. The handles are spread apart and moved around to feel for oysters. Then the tongs are shut together, and the oysters pulled to the surface. The following photo is from the State Archives of Florida, Florida Memory, http://floridamemory.com/items/show/6894. According to the Sea Chest article, "the money wasn't good back then [in the early 20th century] because they only got 50 cents to 75 cents a bushel. In the summer time [fishermen] depended on fishing but in the winter they depended on the oysters very much.... After we got out-board engines they got oyster scrapes [also called dredges] and started scraping for oysters." Last week I published a post about the wreck of the schooner Florence Shay. I included a typed transcript of my great-grandfather's official hand-written report about the disaster. A reader left this comment:"I suppose this journal entry was composed with a pen dipped into an ink well"
My great-grandfather, James Howard, was keeper of the Ocracoke United States Life-Saving Station which was located at the north end of the island. He wrote detailed reports about all of the shipwrecks the station responded to. The photo above is his journal entry re. the schooner Carolina which wrecked April 16, 1889. Although his spelling and grammar are idiosyncratic, his penmanship is a pleasure to look at. If you enlarge the image you may be able to read his full report. Visitors to Ocracoke are often struck by the number of cats on the island. "Why are there so many cats and where did they come from?" people sometimes ask. "The first cats probably arrived on ships, along with the rats on which they fed. Some may even be the descendants of pirates' cats. One cat, known by the name of 'Sam Salt' was a survivor of the Carroll A. Deering shipwreck in 1921. Other cats were brought to the island by newcomers. Unless neutered, they continue to reproduce and grow in number. According to a 1923 newspaper, hundreds of cats roamed the island at that time. * This is still true today." * From The Deming Headlight (Deming, New Mexico), Friday, October 5, 1923, ·Page 5: "There are no dogs on the island, but cats have multiplied until there are hundreds. Having rid the village of mice and rats, the felines have almost eradicated the many snakes which once thrived in Ocracoke." Pat Garber goes on to answer another question, "Does anyone take care of the cats?" "Many island residents feed the island cats, and there is a non-profit organization, Ocracats, which collects money to feed, neuter, and provide veterinary care for them." In the Fall, 1979, issue of Sea Chest, a former non-profit educational project of the students of Cape Hatteras School, Steve Roberts (born October 1, 1901 on Portsmouth Island) shares his memories of growing up on Portsmouth. "Now when I was a right little thing, they did a lot of bartering...back and forth across the sound. They'd catch a red drum and side him off, take the backbone out of him, score him down the flesh, and salt him. After they dried him, they'd trade him for corn which they had ground into meal at one of the mills across the sound. They would trade the geese, too. "It didn't take anything to live. You didn't have to buy anything except sugar, coffee, and flour. You had everything else you needed to eat right there. There were gardens, but the people didn't have them very long. You planted in April and what they called the 'sheepstorms' -- because of the great amount of sheep drowned when the water washed over the island -- came in May and saltwater came all over the place and killed the gardens. The storms didn't do that every year, just some years. There were a lot of sweet potatoes there because they were put out later on and came off between the storms." Severe storms can strike the Outer Banks any time of the year. Fifty-five years ago on March 6-8 the eastern seaboard was pummeled with one of the worst storms in the United States in the 20th century. For three days, including March 7, which was Ash Wednesday of 1962, winds of 70 mph brought 30 foot waves on shore from the Outer Banks to Cape Cod. When the storm was over 40 people were dead and the estimated damage to property (in current dollars) was $500 million. Hatteras Island and the Nags Head Peninsula suffered severe damage and life threatening conditions (although there were no fatalities in North Carolina). The southern portion of the Outer Banks, including Ocracoke, was largely spared. 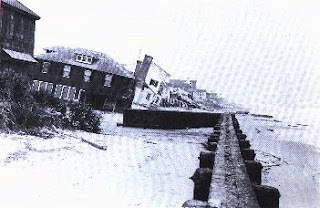 You can read more about the Ash Wednesday Storm's impact on the Outer Banks here: https://outerbanksvoice.com/2012/03/09/remembering-the-historic-ash-wednesday-storm/.